How do we practice the Buddha’s teachings in modern times? 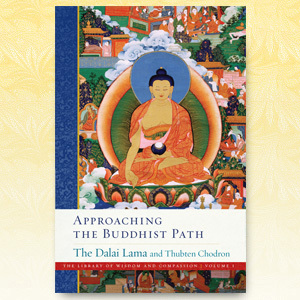 Venerable Thubten Chodron teaches on " Approaching the Buddhist Path ," the first in a multi-volume series co-authored with His Holiness the Dalai Lama. Together, they unveil the path of wisdom and compassion that leads to a meaningful life and a sense of personal fulfillment.